Where to learn Jeet Kune Do? How to learn Jeet Kune Do? These are common questions, and the answer is simple and yet difficult. 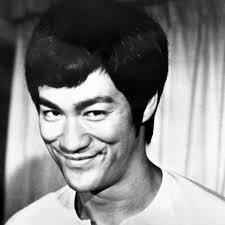 Bruce Lee died, and he left only three individuals with the certification to learn Jeet Kune Do. These individuals were Danny Inosanto, Taky Kimura, and James Yimm Lee. James Yimm Lee is dead now, so that leaves two. So if you are fortunate enough to live by them, you could probably meet them, and possibly study with them. Study every martial art you can, my friend, it is the only way to be truly knowledgable. You can’t learn it unless you understand it. This is the ONLY book that breaks JKD down to its source concepts. If you don’t live near these martial arts instructors, then there are a number of things you can do to learn Jeet Kune Do. First, there are a number of Jeet kune Do videos out there. 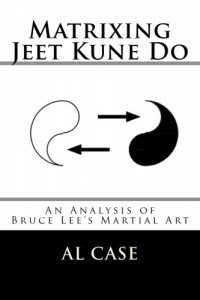 A simple google will tell you how to purchase a Jeet Kune Do DVD. Second, although certification is often lacking, there are a number of Jeet kune Do schools out there. The main thing, whatever you do, is to learn Jeet Kune Do principles and apply them to your training. That said, here is a list of the principles used in Jeet Kune Do training. Non Telegraphic Movement ~ Do not prepare for a strike. This is a very zen concept. Don’t move or even lean the body or the mind before an action. Strong Side Forward ~ Put the strong side of your body forward. Right handed people use right side, left handed people use left side. Use the lead hand for offense 80% of the time, the rear hand 20% of the time. Use the rear hand for defense 80% of the time, the rear hand 20% of the time. Longest Weapon To The Closest Target ~ Use the lead hand and the lead leg to open the attack or initiate the defense, the rear hand and leg are too far away and can be seen too easily. Non Classical Movement ~ Don’t use fixed stances or training forms, as in classical karate or gung fu systems. Fixed stances and forms are rigid, inflexible to change, and do not represent actual fighting situations. Use drills that are fluid and alive and always changing. Use Of Broken Rhythm ~ Speed up or slow down on the attack or defense. This will break the timing of the opponent. On the half ~ Striking the opponent before he completes his attack interrupts his rhythm and is hitting on the ‘half beat.’ This can be done at any time in a sequence of attacks. Adaptability ~ The only constant is change. Fights are nothing but change. You must adapt to the situation, change with the change. You must not rely on a fixed set of techniques, or you will be out-changed. This is a matter of self-expression. Use Of Feints and False Attacks ~ Use a feint, or a fake attack, to draw the opponent into a reaction. Once he reacts you can read him and then predict what kind of fighter he is, and what he will do. Feints also distract the opponent, put him out of position so that you may simply defeat him without secondary action. Interception ~ Jeet Kune Do means ‘Way of the Intercepting Fist.’ Blocking means you haven’t perceived the attack, and you are now moving behind the action. You are now responding to instead of creating. Better to simultaneously parry and hit, or just to hit first (after perceiving that a fight is eminent and will occur…you must do everything in your power to de-escalate a fight before it happens) To accomplish the action of this principle you must control the distance so that the opponent has to extend himself to reach you. Centerline ~ Stay to the centerline. Circular punches are easier to see, straight punches are more difficult to see. Learn where to find major targets on the centerline. Nose, eyes, throat, groin, solar plexus, etc. If you control the centerline you control the positioning and leverage of an opponent, and thus control his ability to launch an attack. Alive Footwork ~ Being mobile is crucial. Learn mobility and you can move into position to strike, or move out of a position that would be struck. Control of distance, rhythm and timing are controlled by footwork, so your footwork must be fluid and alive. Focus on Low Line Kicking ~ It’s dangerous to kick high in a real situation. High kicks are slower, put your balance at risk, offer your opponent or lever, and so on. Low kicks, on the other hand, to the knees or groin, are quick and easy and hard to defend against. Some people think you should learn the Five Ways of Attack in this list, but I put them in a separate category, and they will be on a separate page of this site. This has been a page about Bruce Lee Jeet Kune Do fighting Principles. 39 Responses to Learn Jeet Kune Do on Your Own! BRUCE LEE HAVE BEEN MY MENTOR SINCE I WATCH ALL HIS TEACHINGS AND READ BOOKS IN HIS FINGHTING TECHNIQUES,I LEARNED KUNG FU BUT WHEN THE TIMES I GOT TO LEARN OF BRUCE LEE BY WATCHING HIS MOVIES I SUDDENLY RESEARCH MORE OF HIM AND READ OF HIM. WHEN I FOUGHT WITH STRANGERS OUTSIDE MY HOUSE, I ALWAYS WIN WITH JUST USING JEET KUNE DO & BRUCE LEE STYLES. NO ONE CAN LEARN JEET KUNE DO MORE EVEN IF ONE WHO TEACHES IS DAN INOSANTO THAN LEARNING IT FROM BRUCE LEE ITSELF, YOU MUST HAVE THE HEART AND ABSORVING ALWAYS THE ESSENCE OF JEET KUNE DO…. ONE THING TO HAVE A FAST HAND AND FEET IS BY 1) TIE/CONNECT A STRETCHEABLE 2 PCS. OF ROPE TO A WALL MEASURING ATLEAST 3/4 YARDS EACH THEN TIE A HANDLESTICK, HOLD IT AND DO LIKE PUNCHING MANY TIMES DO IT WITH A SPEED, DO THIS ALSO ON YOUR FEET, KICK FAST UP HIGH THE WAIST LINE ONLY. 2) GET A TENNIS BALL AND THROW IT ON A SMOOTH WALL AND TRY TO CATCH IT, THROW IT FAST AS YOU CAN AND CATCH IT AS YOU CAN. THIS YOU WILL MODIFY YOUR PUNCHING AND DEFENSE. AS YOU WATCH BRUCE LEE’S FIGHTING ON HIS MOVIES, DO IT LIKE WHEN YOUR FIGHTING OUTSIDE, THE STREET FIGHTING WAY. 3) DO THE PUSH-UPS EVERYDAY, PRACTICE THE ONE HAND PUSH-UPS. 4) PRACTICE THE ONE INCH PUNCH ON A SAND BAG AND ON A PLYWOOD NAILED ON A WALL, PRACTICE IT AND PUNCH A 1 INCH PUNCH AS FAST AND QUICKLY, YOU CAN BE A MASTER OF IT ALONE. 5) TO BE ABLE TO MASTER A NUNCHAKUS, YOU NEED A THICK ROPE ATLEAST 1/2 YARDS TIED WITH A 2 PCS. METAL ON IT MEASURING ATLEAST 5 INCHES EACH METAL, PRACTICE IT DAILY. WATCH HOW BRUCE LEE USE THE NUNCHAKU. YOU CAN BE A MASTER OF IT TOO. I believe he meant front hand 20% of the time for defense; with this adjustment is makes sense. dear…may is just a transcription mistake…probably they mean to use lead hand 80% for defence and rear hand 20%…..do you think so? This may be seen as a classic example of understanding and adaptation. Hi I am new to this and would like to learn. Reason why I want to learn Jeet Kune Do is not only because I am a HUGE Bruce Lee fan but mainly for self defence. After reading this I am pretty confident that by learning Jeet Kune Do I shall gain knowledge on self defensive strategies if it ever comes to a physical combat after trying to de-escalate any situation. I’ve seen some other websites where they offer training in self defence but I am more interested in doing Jeet Kune Do rather than any other form of gung fu, boxing, MMA etc.. So if anyone can give some pointers or help me out here that would be much appreciated. I am creating my own style from jkd called mow jow pai (cat’s claw) which centers around knife hands and palm heels with cat movements. would like some advice. I have watched Bruce Lee films since I was a very small child. Since that time I have been facinated by the martial sciences. People wonder if you can teach yourself martial arts? Yes you can, I have taken the basics of about seven different styles of martial arts. Punches, kicks, blocks, and stances. I have modified and addapted them to MY own natural flow. The key to any fighting style is repetition and self-confidence. Practice until you can do it in your sleep, and always be confident in what you know you can do. Most martial arts forms are mainly katas’ after learning the basics. I have learned and addapted boxing, a small amount of kung fu, kickboxing, karate, judo, akido and medevil sword styles, and jeet kune do, to suit my fighting style. DO NOT let anyone tell you that you can not do it. We are the most intelligent species on the planet. If we can teach ourselves different languages, we can certainly teach ourselves self defense. If I can teach myself enough to take down atleast three attackers, so san anyone else. Hi i m frm India. I am want to learn jeet kune do for self defense and for protecting innocent peoples. I have trained in Tae Kwon Do for a few years, and found that the styles are similar. As a start to training, practice Tae Kwon Do for a bit, and always remember the center line. I am only fourteen and I have come a long way in my training. This article helps a lot. Thank you and good luck to the people training. Be like water, my friends! I have always been fascinated by JKD and would love to learn it. I studied Karate 15 years ago and was ready to go for my black belt when family commitments meant I had to drop out. My question is, can you learn JKD at home? I know that you really need a sparring partner to practice with, but leaving that aside for now. Is it realistically possible to learn from home or do you have to go to an instructor? I would gladly like to study or practice Jet Kune do at my place on my own, thank you. Crack open one dozen eggs , whisk them into liquid add in little bit salt and pepper add in- ground turkey meat, or tuna in can or chicken ground up mix with spoon add 3 tablespoons of white sugar mix in. Get a iron large pan skillet or stainless steel one oil the pan inside oil the sides also. Pour the egg batter into pan, Cook in the oven 20 min at 350 degrees. When done let stay inside oven with fire turned off so the eggs will set. When cold cut into slices -eat with a small salad. He would also blend drinks protein shakes home made but that only optional. I want to learn jeet kune do and im just beginning so i wanted to have a mixed style like palm strike, Muay thai kickboxing and the Jeet kune do so any tips? For workout and fighting styles?? Youre forgetting someone.. Theres no 3 individuals.. …. they are 4 , include Ted Wong… He has more private classes with Bruce Lee than anyone..
Í want to learn it really. Bruce lee was the best hero. Jeet kune do is really everyones own way of fighting-moving ,,you make it your own,i cant fight like Bruce Lee,no one can,i cant fight,move like Tommy Carruthers,he has made Jeet kune do his way,look how dedicated he is ,and fast,we can all learn something from many martial artists,i like they way Geoff Thompson says it,”You dont have to go to China,or Japan to learn to fight,to be a good fighter”.,etc,etc,hard training,plenty of sparring,can be found close ,if you really are serious about learning,where ever you are, even YOUTUBE has good instruction if something catches your interest,,get move,nn. cheers to BRUCE LEE. Wonderful article! Perhaps far better than clumsy voluminous books and expensive video tutorials. It truly describes the “way to JKD” as I believe that JKD is a personal discipline. Not a bible for everyone. Thank you very very much for this great contribution for the seekers of the self. This place is awesome! in my opinion, JKD is more like a lifestyle. A way of living. With no limitations. A part of oneself. Are there any schools in the Southern California area? Forgive the intrusion, I am a first time visitor and have noticed confusion regarding the comments on presenting the strongest side. The 80/20 theory is used 80% with lead hand and 20% defense. Then If in a different situation (eg.) Weaker side presented the 80/20 theory still applies but in reverse. This is the way I was taught anyway, and is still my understanding today. I hope this helps. It’s cool that there are DVDs but I wish I lived near a master so I could learn this from an actual teacher. I just don’t feel like the DVDs would do Jeet Kune Do justice.